An exquisite and extremely rare Louis XIV period mirror in remarkable untouched original condition with stunning silver gilt patina and original patinated mercury plate. 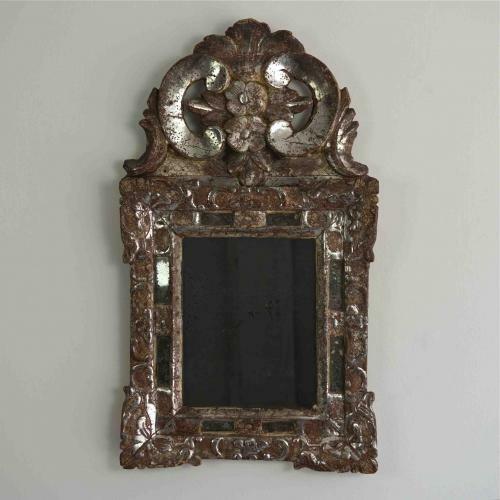 The frame is hand carved with stylised fleurs-de-lys & foliage, and the margin is pierced with eight narrow rectangles of mercury glass plate. On top, the beautiful pierced crest features large flower carvings and stylised foliage. The mirror is in excellent antique condition. French circa 1700.